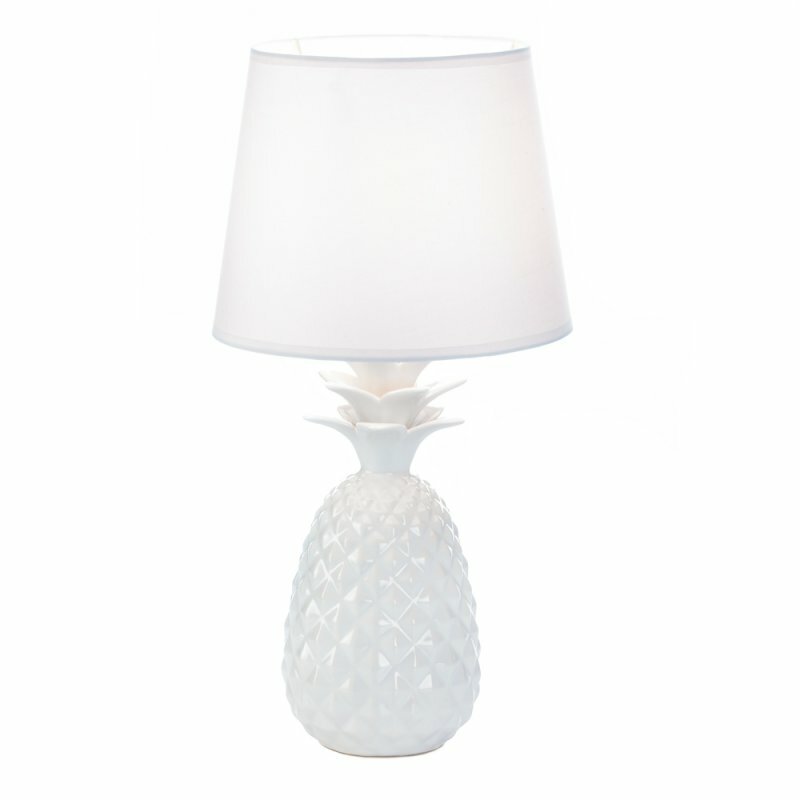 This is the brightest, whitest pineapple you'll ever see! 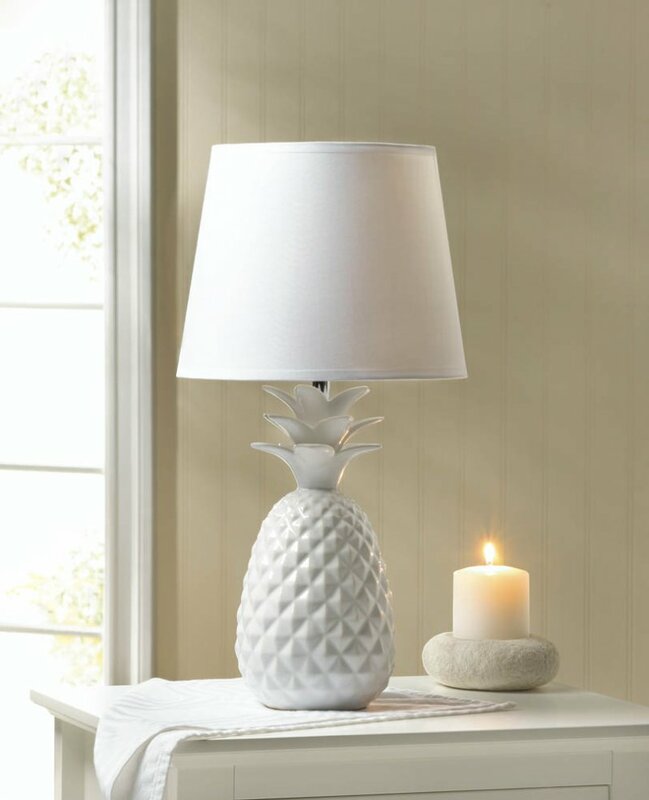 This fun little table lamp features a white pineapple base topped with a white fabric shade that is sure to brighten up any room of your home. 60 watt bulb not included. Power cord: appx. 60" long.